19. Nike Dunk High "Pharrell"
One of the first rappers to really push sneaker culture into mainstream status it was only a matter of time before you started seeing N.E.R.D./Pharrell influenced footwear. Skateboard P did his thing with his Ice Cream Brand but the N.E.R.D. 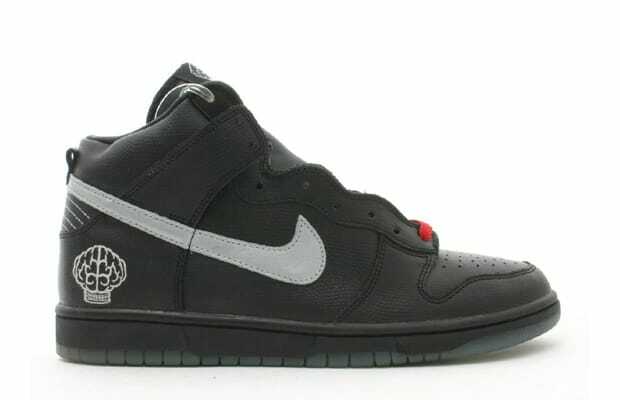 logo kicks (part of the Nike Artist's series from 2005) are the ones we need.